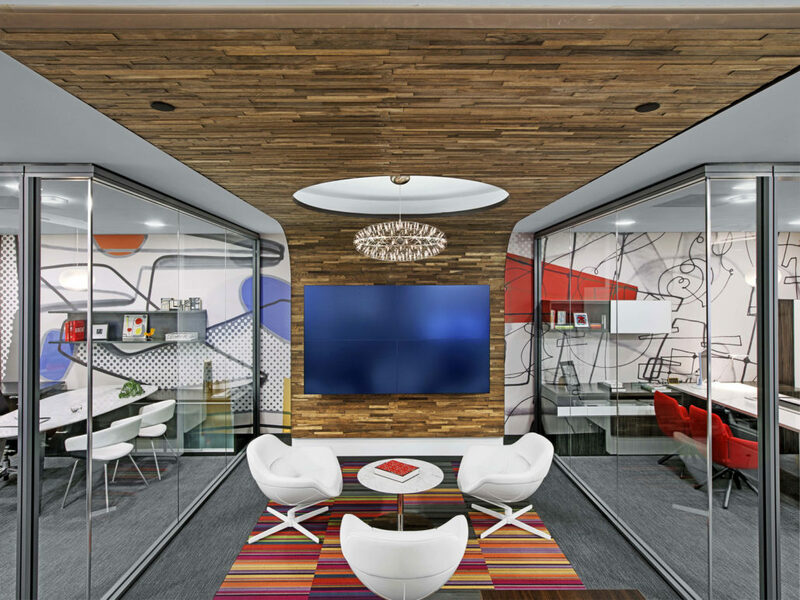 The dynamic Interior Office Solutions showroom creates a sense of place for designers to come, enjoy the outdoor patio, experience the highlighted products and is a comfortable workplace environment for its employees. 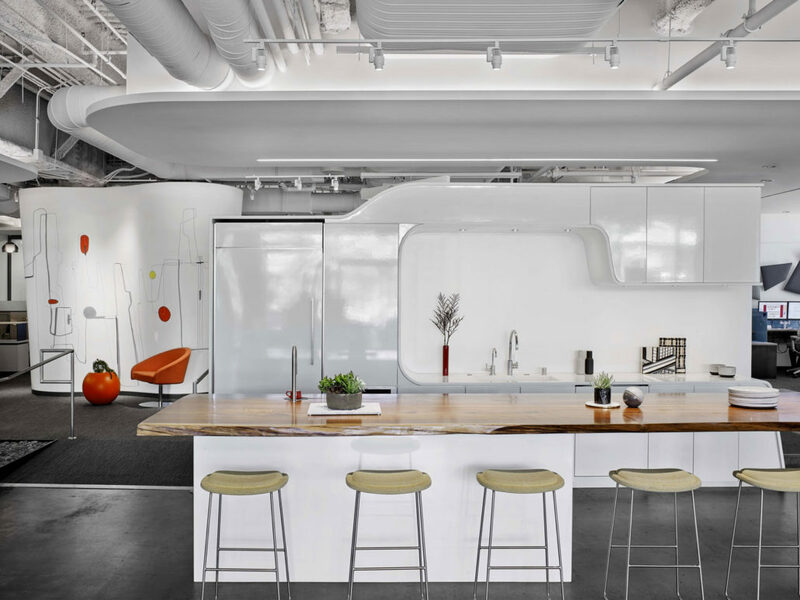 The design firm designed a contemporary showroom with a regional vibe and a worldwide relevance. 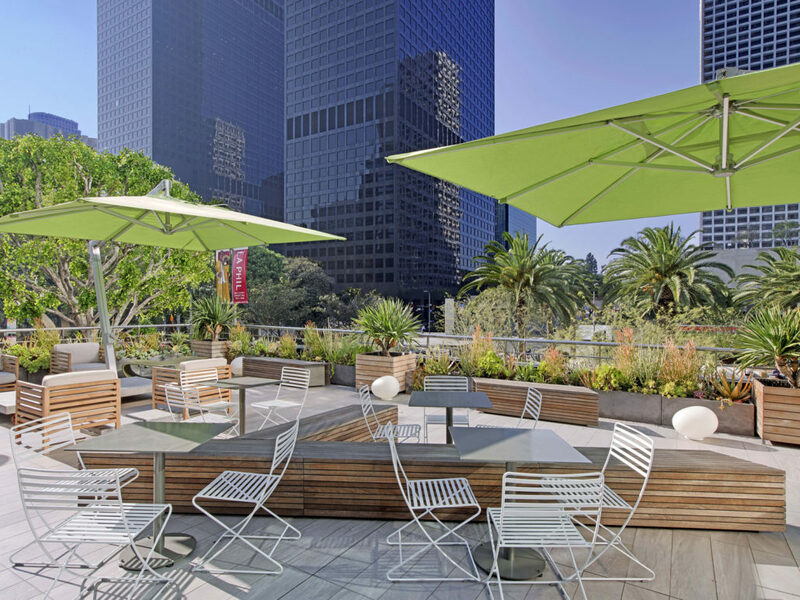 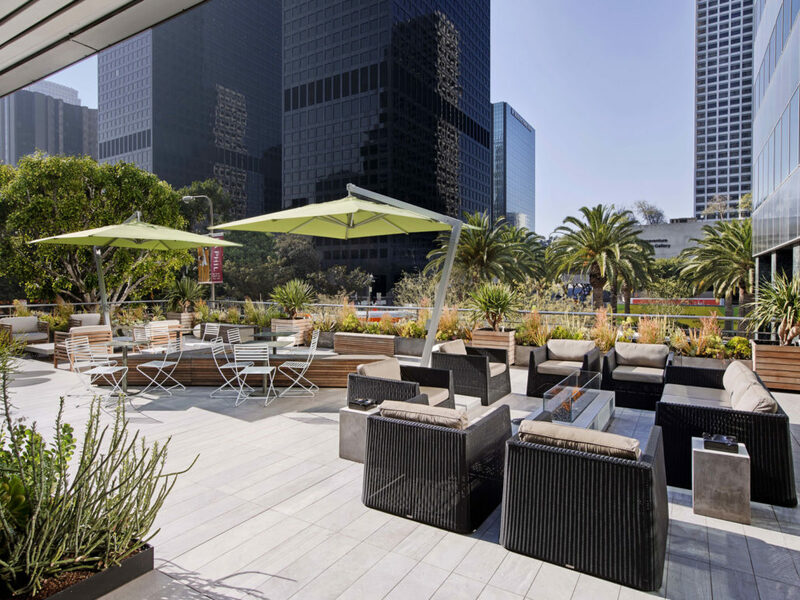 Interior Office Solutions, one of the largest Haworth Dealers, wanted to establish a presence in downtown Los Angeles. 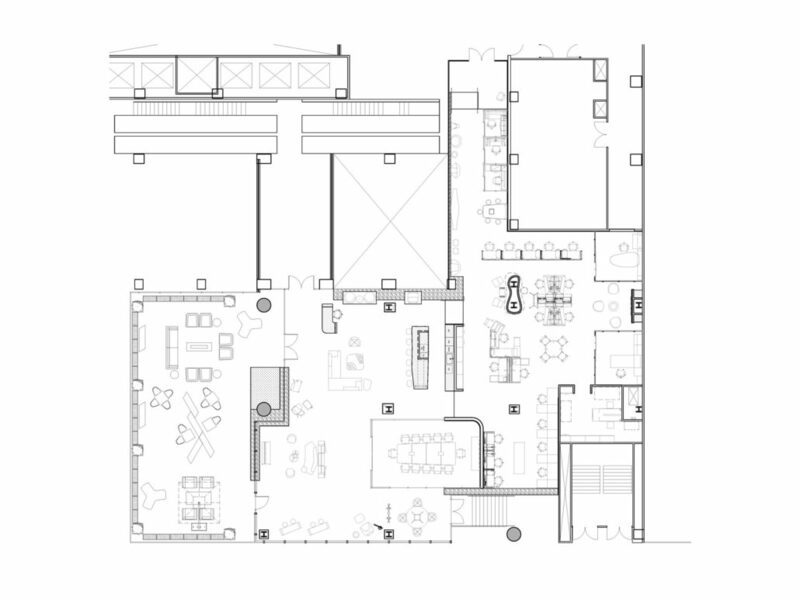 The Client wanted to create a Showroom that is a functioning showroom with half of the space designated as a useable functioning work space for employees. 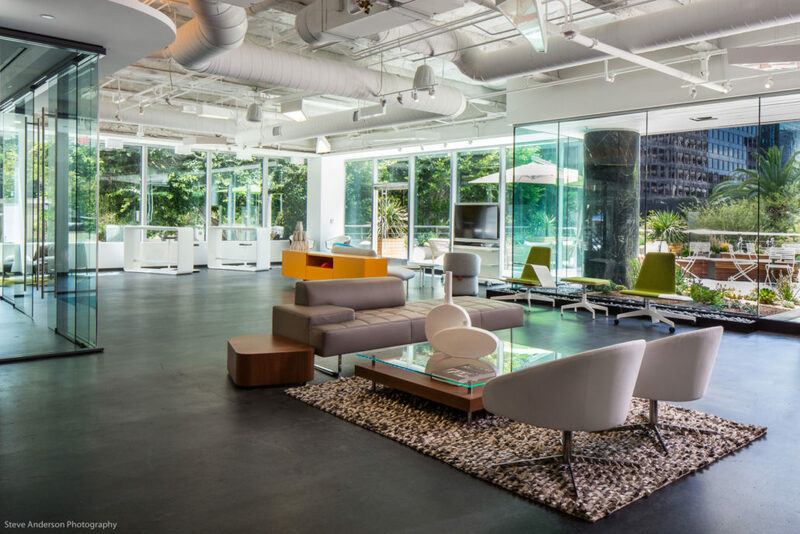 This work area is on an elevated raised floor enabling IOS to exhibit their flooring product. 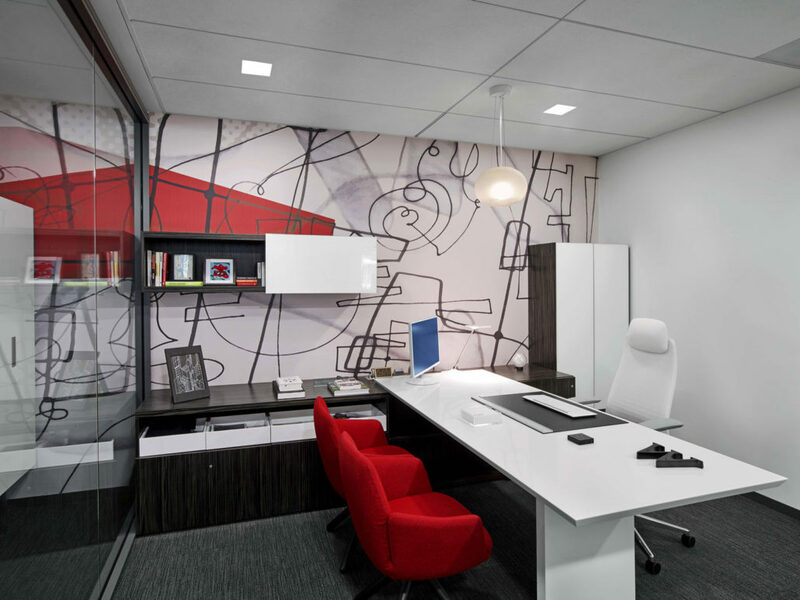 The other half of the showroom functions as a display for product. 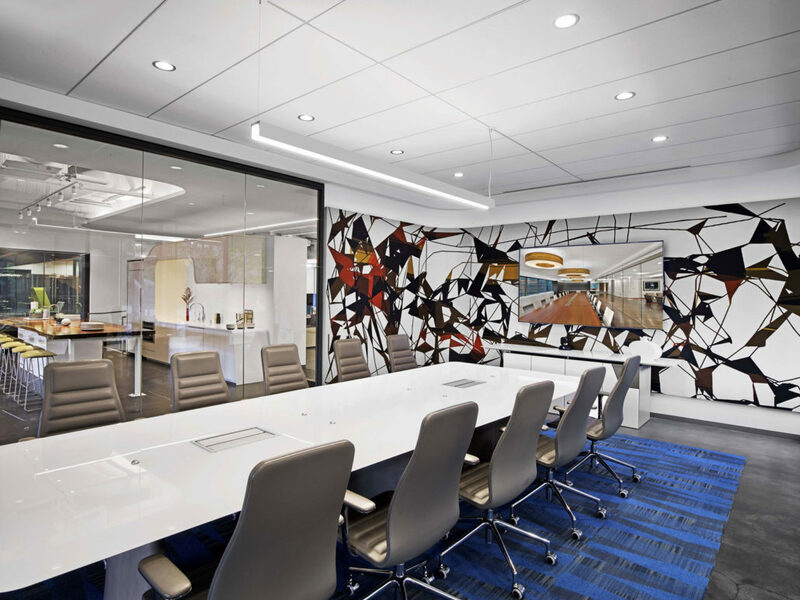 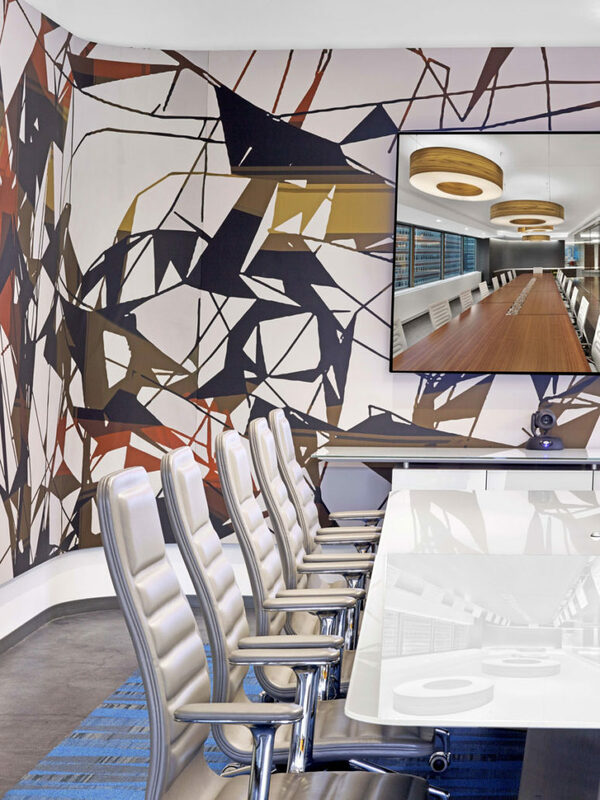 The design fully integrates the Principal of the design firm’s art into the design of the showroom from the large scale murals to the paintings. 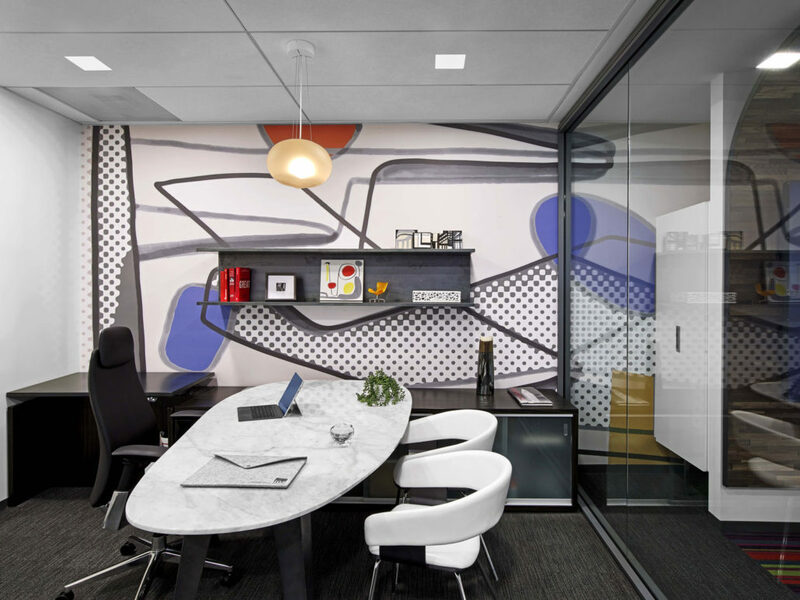 The architecture, furniture and art resonate with each other.